One of the fastest growing social networks in existence today is the almighty Google+. Odds are that you already have a Google+ account, but if you don’t and want to expand your networking reach, you should definitely think about getting one. It is a well-known fact that stellar social networking presences are critical for the success of your career path. This is certainly the case for freelancers, as well as small businesses attempting to spread the word about their services or companies. Word of mouth is where it’s at and we most likely already understand the benefits of a solid Facebook or Twitter presence. However, utilizing Google+ to network and boost your reputation is becoming increasingly important as well. 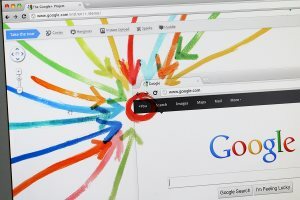 Google+ is fully integrated with all of the tremendous free utilities that Google currently allots its users, including Google Calendar, Gmail, Blogger, and Google Documents. This creates a manageable integration to your current Google+ presence, making it a snap to integrate your company’s blog, your individual schedule, and much more with just a few mouse clicks. Additionally, Google+ accounts can be individually developed for individuals and businesses or particular products (those are defined as “pages”). Google+ is not an alternative to Facebook or LinkedIn. It has been uniquely created to be a dominant business instrument that can assist all job seekers by helping cultivate and connect their operations and visibility in highly effective ways. Posts on both standard Google+ profiles and Google+ business pages rank higher in Google search engine queries than submissions on Twitter, LinkedIn, or even Google’s own blogger platform. As good professionals know, this sort of SEO is very important! Another especially exciting tool in Google+ is the free implemented video chat interface “Google Hangouts.” This function facilitates easy yet effective video conferencing that can be shared between colleagues, potential employers and customers. There is also the benefit of Google’s “circle” function to consider (which is similar to a “follow” on Twitter or a “like” on Facebook pages), as this tool is used to wield the full power of networking possibilities. Circles can effortlessly be utilized for targeted marketing campaigns, reaching out to potential employers or building a large audience in order to reach out to several niche viewers. This is perfect for business owners working on reaching out to one or several niche audiences. The +1 function (comparable to the “like” function on a personal Facebook page) allows operators to quickly endorse a user’s content that he or she finds important. In fact, a major advantage to networking on Google+ as opposed to Twitter or Facebook is that Google +1 feature assists in boosting the Google search engine ranking higher than the other social networking sites. Many business owners are already searching Google + for potential job seekers and having a profile of your own will only give your web presence that extra boost needed to stay ahead of the pack!